Easiglaze market leading Vertical Slider is an authentic looking sash window with Ovolo finishing that combines all the benefits of high performing modern materials and functionality with period character and design. Designed by Easiglaze Window Systems to deliver all the benefits of high performance modern materials, the Vertical Slider is a cost effective solution for period style properties. The PVCu Ovolo frames provide optimum strength, superior thermal protection and excellent weathering performance and with the minimum maintenance, will retain their appearance year after year. Much thought has gone into the Easiglaze Vertical Slider to ensure that the attractive style of a traditional sash window is retained, whilst providing all the benefits that modern technology can provide. 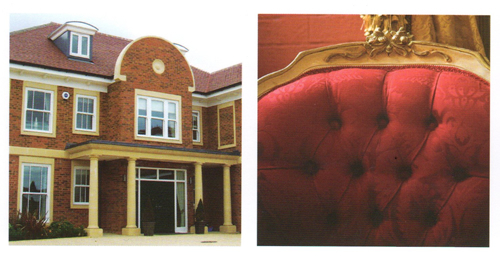 For ease and cost effective fabrication, each sash option is post co-extruded. Thermal properties are enhanced through the use of 24mm glazing as standard. Excellent weathering performance is increased with a pile seal detail on the sash edges and outer frame and air flow specification can be achieved through the use of trickle or glazed-in vents to suit particular applications as required. Easiglaze’ sought after Vertical Slider System is kitemarked to BS EN 12608 and BS 7950 and BBA approved. Easiglaze are registered members of a number of industry regulators and manufacture to the recognised British Standards of quality and performance. Profiles are extruded under a quality management system that conforms to BS EN 9001:2008 and are kitemarked to BS EN 12608. Rest assured when you choose a Easiglaze System, your investment is in safe hands. 7. Choice of cill sizes available. Easiglaze profiles are manufactured to the highest standards from a formulation that includes a high impact modifier to withstand cold weather and a UV light resistant pigment the PVCu profile from degrading, bending or warping, ensuring manufacture of the highest quality product. Structural strength is enhanced through the use of steel or aluminium reinforcements through the internal chambers of the profile and to further increase stability, all fixings and hardware are secured to the reinforcement. For simple and cost effective fabrication, each Vertical Slider has post co-extruded gaskets, resulting in improved weathering protection. 24mm glazing comes as standard enhancing thermal performance. 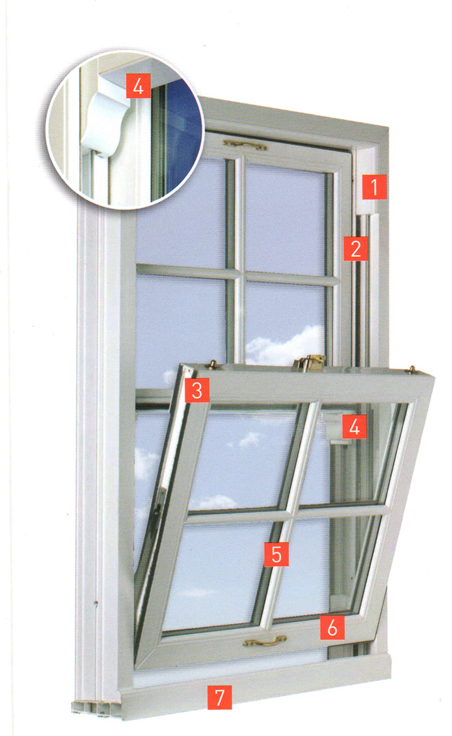 Pile seal detail on the sash edges and outer frame increases protection against weathering. Available in a large range of colours, woodgrain and metallic foil finishes allowing customers to match their windows to the age and style of the property.